Just days before the scheduled start of the oral arguments phase in Spain’s high-profile Supreme Court trial of Catalan separatist leaders, President Pedro Sánchez flew to Strasbourg Thursday for an unprecedented visit by a Spanish leader to both the European Court of Human Rights (ECHR) and the Council of Europe, where he will give a speech pledging Spain’s respect for European judicial and human rights. The Sánchez visit to the two EU institutions also coincides with the release this week of the annual Freedom in the World report by U.S-based Freedom House think-tank, ranking Spain 18th among 196 countries worldwide in respect for democracy, political freedom and human rights – ahead of Germany, the UK, France, Italy and the United States. The Sánchez trip will include a speech by the Spanish president to the Comittee of Ministers of the Council of Europe in which he was to stress that Spain has fundamental respect for the rule of law and for the guarantee of individual rights, public freedoms and the rights of minorities. 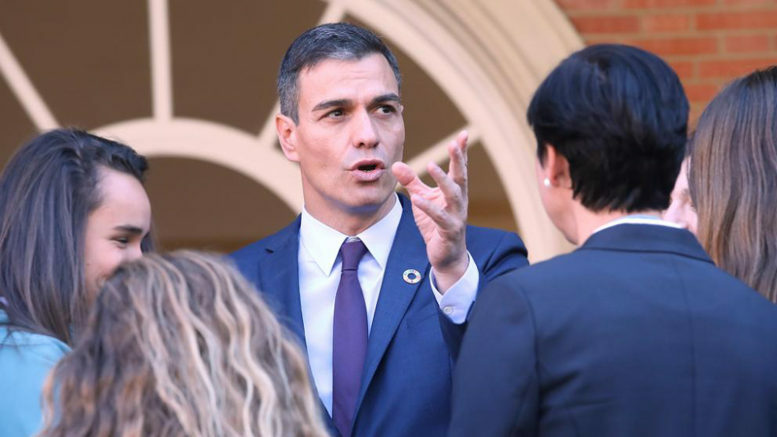 Sánchez was also slated to visit the European Court of Human Rights for a meeting and photo opportunity with the court’s president, Guido Raimondi. The Strasbourg trip by Sánchez is seen largely as a public relations visit to counter claims by Catalan nationalists before the European court that Spain is in continuous violation of the human rights and civil liberties of Catalans and that the upcoming Supreme Court trial of Catalan separatist leaders is part of a policy of repression against Catalonia by the Spanish state. The annual Freedom House report this year awarded Spain 94 points out of a possible 100 and among the highest scores for respecting freedom, political rights and civil liberties. Founded in 1941 with Eleanor Roosevelt and Wendell Wilkie as honorary chairpersons, Freedom House issues the annual report using a three-tiered system consisting of scores, ratings, and status compiled each year by a team of in-house and external analysts and expert advisers.